If you’re new to eating a plant-based diet, you might feel overwhelmed with how to proceed. 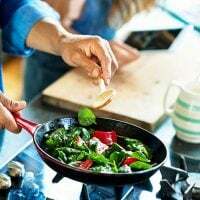 Not only are you trying to figure out what foods to eat, but also may be struggling with how to make a plant-based meal or how to make recipes that everyone will love, plant-based or not. Eating a plant-based diet requires eating at home more often. Let’s face it, most restaurants don’t have your health in mind and even “healthy” restaurant choices are still often filled with fat, salt or sugar. Then there’s dealing with new types of food like tempeh, tofu or seiten and wondering how you’re going to get enough protein. 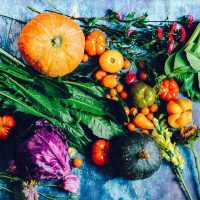 I feel you, so I’ve pulled together this list of seven classic recipes every plant-based eater should know, and love, by the way, because if you’ve mastered these, you’re on the way to making easy plant-based meals for your health and that of the planet! 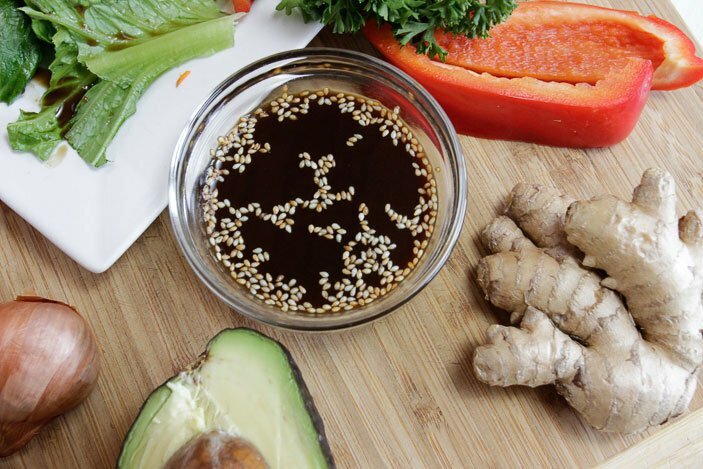 Master these seven recipes and you’ll solidly be on your way to mastering your health. 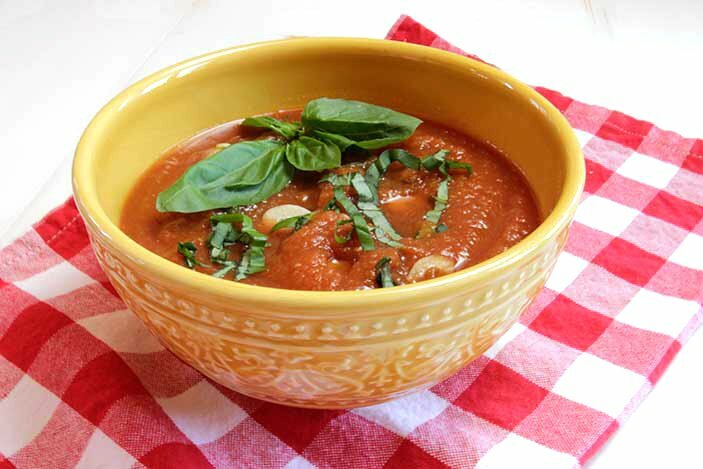 Basil Marinara Sauce: A classic red sauce made with organic canned tomatoes what can be used over pasta or in your favorite lasagna, the base of a stew or soup or even an Indian Chana Masala. Pressure Cooker Beans: The cornerstone of every long-lived community (call the Blue Zones) are, you guessed it, BEANS. They provide B vitamins and lots of fiber and protein to boot. No worries about lectins, either, because they are gone once you’ve cooked the beans. They’re perfect for topping salads, adding to soups and stews and delicious in burritos or tacos. They can also be the base of your vegan meatloaf or salad dressings. Very versatile and important on a plant-based diet! 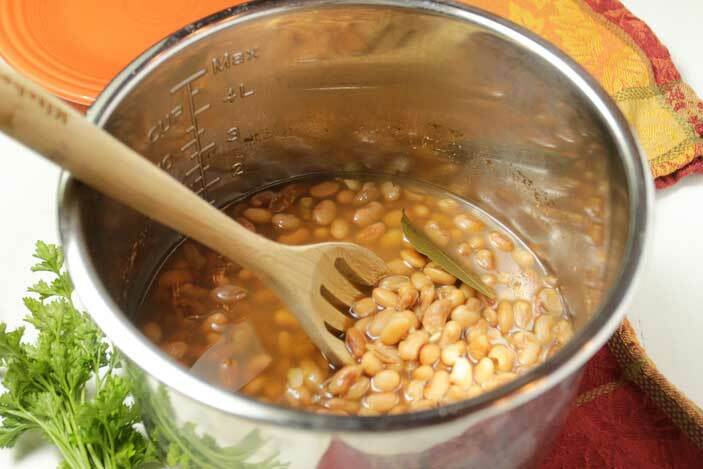 Here’s the link to pressure cooker pinto beans, and black beans. 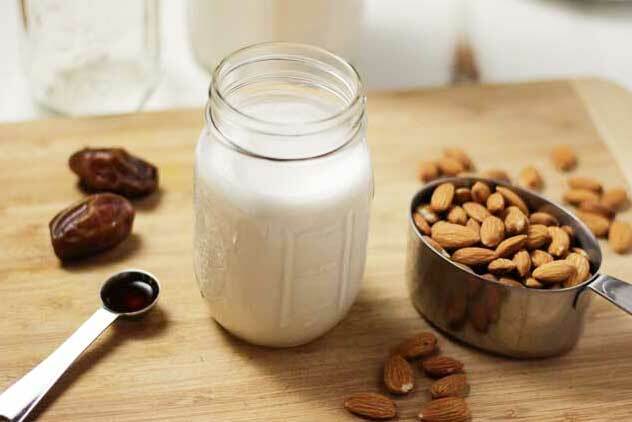 Homemade Almond Milk: We know that there’s a lot of non-dairy milks on the market these days, everything from oat and cashew to the more traditional soy and almond, but VERY FEW are made without additives or thickeners so hop on over to this recipe for making homemade almond milk. Don’t be intimidated because it’s very easy… just a little soaking and blending in your high-powered blender. So good in your coffee, too. GREENS: Yes, greens are at the top of the superfood pyramid and according to Dr. Michael Greger and Dr. Joel Fuhrman, should be included in your diet every day. 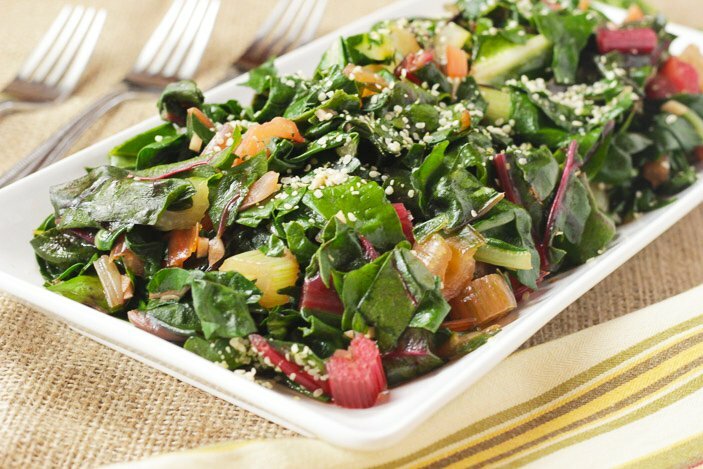 You can add them to your smoothies, eat them in salads, throw them in salads, incorporate them into casseroles and eat them sauteed as in this recipe. 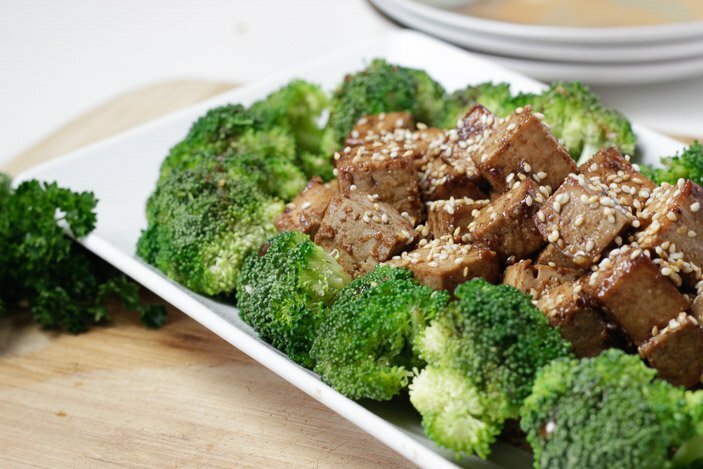 Baked Tofu: If you’re new to using tofu, read my article, “Three Ways to Cook with Tofu,” to bring you up to speed and then feel good about including tofu in your recipes. It really can be delicious and is a great source of protein. It can be used in so many ways, including in scrambles, desserts, dressings or a topping for your savory bowls. This Baked Tofu recipe is a good starting point and goes well in savory dishes like this Sweet & Sour Tofu recipe. 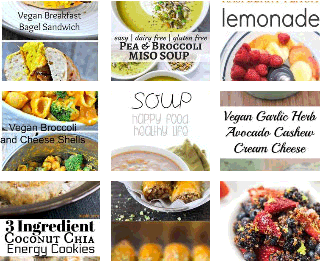 Plant-Based Vegan Cream Sauce: Even though your off dairy when you eat a plant-based diet, that doesn’t mean you can’t eat a “cream” sauce and this article will get you up to speed with three different ways to make that happen. 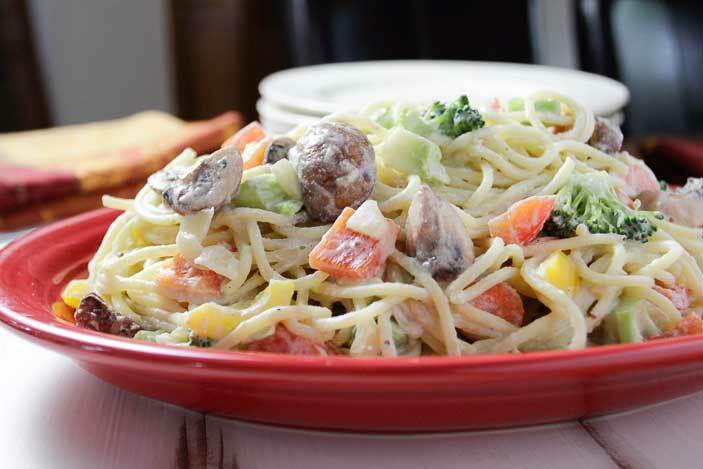 A basic simple cream sauce can be the start of something delicious such as this creamy Pasta Primavera or this Cheeze Veggie Divan. 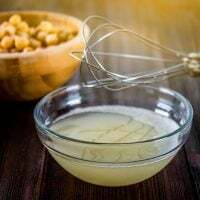 Oil-Free Salad Dressings: It is recommended that we eat no or very little oil on a plant-based diet and that means oil-free salad dressings. 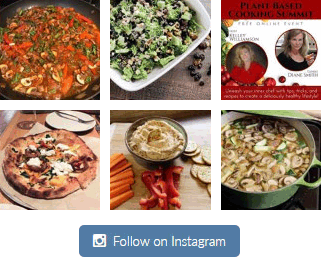 So why now get in the groove and become an expert in oil-free salad dressing makin’? I have a handy freebie that you can find or just read my article, “Oil-Free Salad Dressing Formula,” which includes several homemade dressings.